Throughout the course of our daily lives, our interactions with the environment around us are intelligently informed by design. More often than not, design interactions are transparent; meaning we unknowingly connect with ideas that surround us without focusing too much on the aesthetic. When it comes to great design, the connection of two dissimilar or similar ideas through design that goes unnoticed is key. It successfully communicates the idea or message without distracting from the original idea at hand. This type of design thinking shapes our lives through an empathetic understanding of our wants, needs, and priorities as humans. Within many fields such as the technology and business industry, this methodology has gained momentum as an integral part of any company’s development process and a better way of understanding how to provide better human-centric solutions to complex problems. Within any field, the key to creating better solutions is understanding and defining the problem by tapping into our empathetic understanding and putting our minds into that of our clients or users. Honing the power of observation, it allows us to set aside any preconceived notions we have when we’re faced with a problem. Instead, we are able to listen and get to the root of their needs by taking into account all the current circumstances and influences surrounding the problem. Included in this part of the process is also asking questions that help further define the problem. These are elements that can then be gathered later on to be determining factors that must be considered to generating a successful solution. 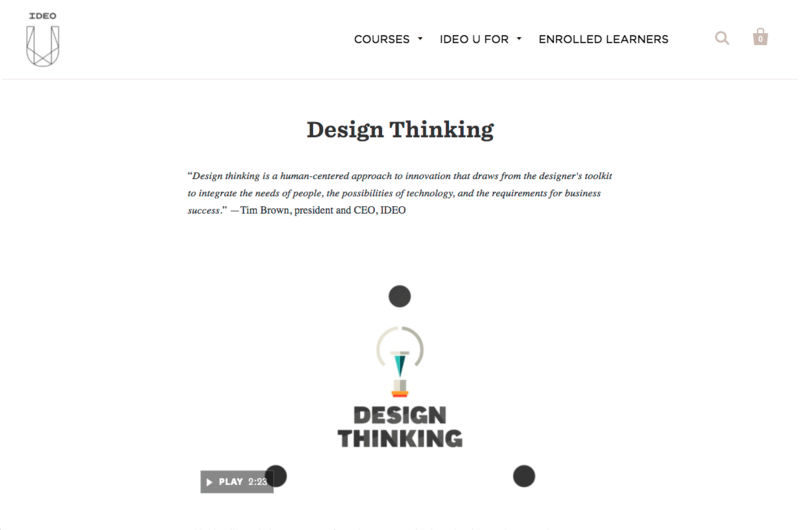 With the necessary data and understanding of any given target market, design thinking enables us to explore a variety of solutions through ideation, prototyping, and testing. Generating as many ideas as possible and testing them, again and again, keeping in mind the information gathered helps further rule out the solutions that don’t work. Keeping the original problem at hand, this stage of this development process poses a new set of problems to be worked out. By presenting them to the group of people you are trying to reach cuts out the middleman and once again refocuses goals and aims of a given issue being designed for. It leads away from any confusion or gray areas that get in the way of connecting consumers to an idea. 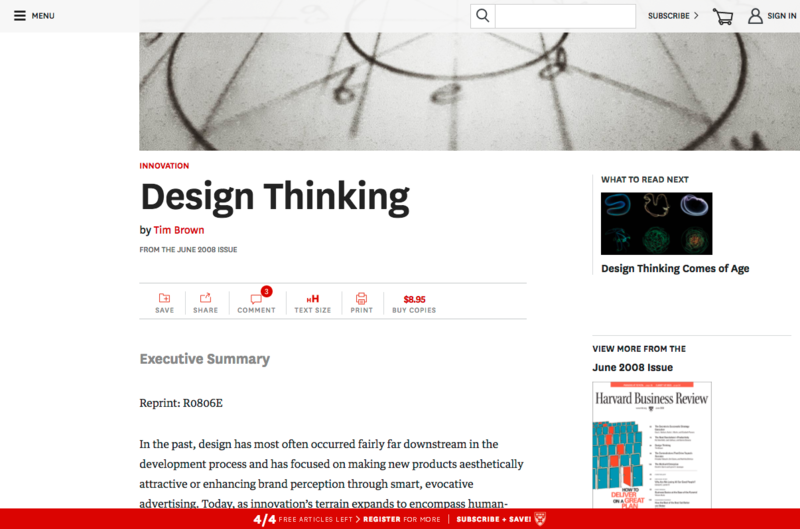 In all cases, the design thinking methodology is viewed as a nonlinear process that continually helps us make a more informed design decisions. 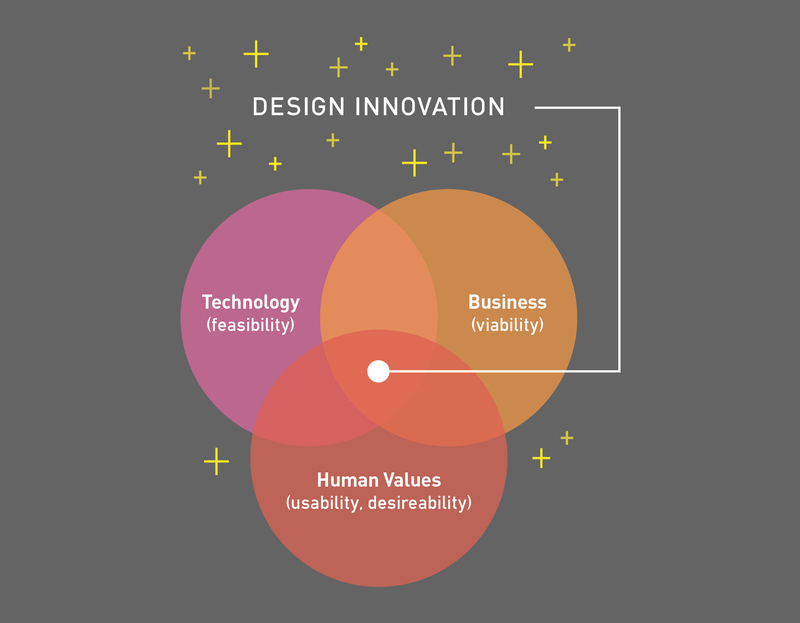 Continually adapting, changing, adjusting and re-adjusting based on testing and prototyping ideas for people is key to what makes a design successful. In the end, the pieces of the puzzle always include the user, but the simplicity and seamlessness of a solution are what makes the design truly successful as a communication tool.